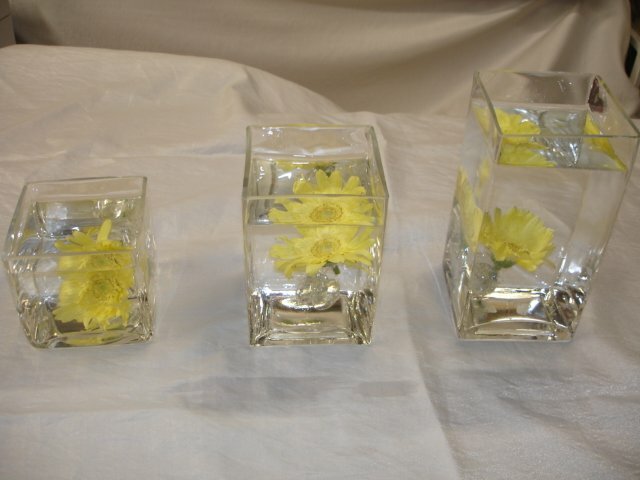 Rental of three 4" by 4" wide clear glass vases, 4", 6", and 8" tall. Vases only. Add marbles, wire, ribbon or gems for a custom look.